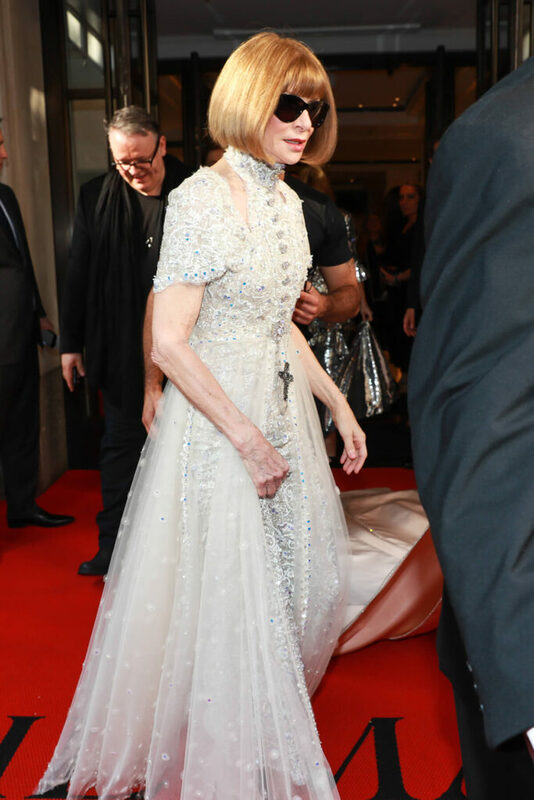 Can’t wait for this year’s Met Gala? 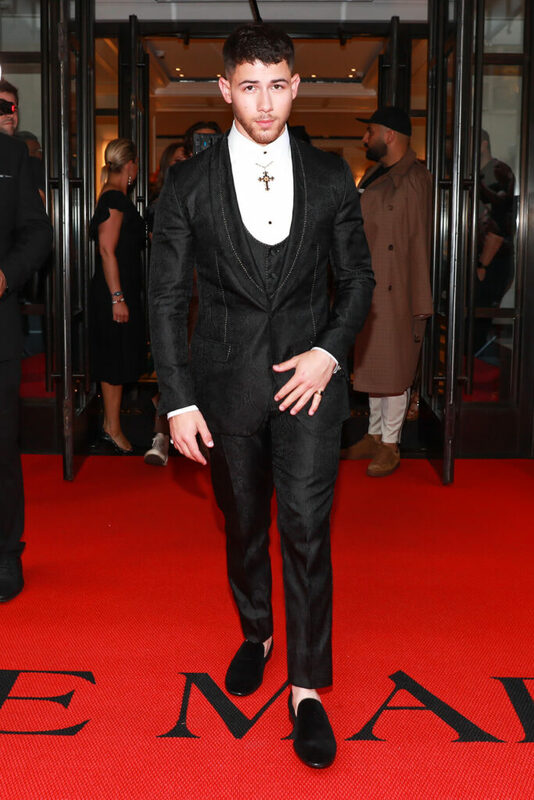 Here are some of our favorite looks from last year’s red carpet at The Mark to tide you over. 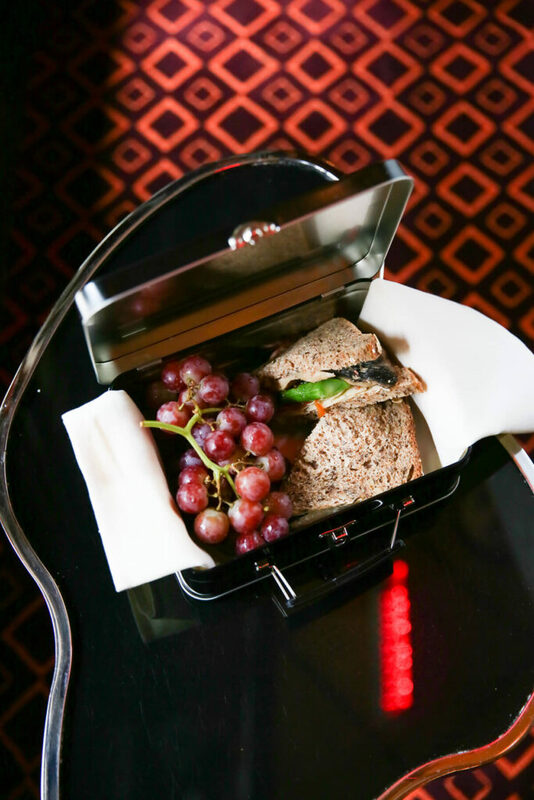 Each Fuel Box includes a vegetarian sandwich, fresh fruit and sparkling water. It’s the perfect light lunch on-the-go for your commute downtown. Boxes will be available at The Mark Bar daily during Fashion Week from 11:00 AM to 3:00 PM for $25. This summer, we set sail on The Hudson’s high seas with our very own Mark Sailboat. Guests enjoyed views of the New York skyline and Lady Liberty while sipping on champagne and munching on bites by Jean-Georges. We hope to see you on board next Summer! In addition to pet perks such as a special menu by Jean-Georges and custom designed dog beds, pampered pets can now receive The Mark’s new Woof Woof Kit. The Mark Woof Woof Kit is available for purchase at $95 each and includes a custom collar, leash, portable water bowl, and waste bags. Sled in style at Cedar Hill in Central Park with The Mark’s custom crafted sleds. Bid adieu to 2016 at The Mark – receive Champagne and signature chocolate truffles upon arrival, and a breakfast in bed wake up call by Jean-Georges on New Year’s Day. Join us for dinner at The Mark Restaurant by Jean-Georges for a special $498 five-course New Year’s Eve menu. Offering a seasonal assortment of bouquets and preserved roses, The Mark Floral Cart encourages to keep romance alive during travel. Whether enchanting a significant other, or brightening a suite with a sense of warmth and passion, The Mark Floral Cart is sure to set love in the air in New York City. Warm up with Jean-Georges’ cinnamon donuts and spiced cider as you experience a chauffered ride through the seasonal highlights of Autumn in Central Park. The seasonal hot dog stand, lavishly adorned with the iconic Jacques Grange black-and-white stripes, is serving Jean-Georges’ gourmet organic chicken and grass fed beef hot dogs exclusively for guests of the hotel and neighborhood friends. Hot dogs are $6 each and are served with special Kimchi relish and your favorite condiments – available all season long. Stay at The Mark and receive Champagne and signature chocolate truffles upon arrival, brunch by Jean-Georges and tickets to The Mark Restaurant’s New Years Eve Gala – featuring a five-course tasting menu, French Jazz band and midnight toast. The Mark Cocoa Kiosk by Ladurée – The Mark announces a devilishly delicious, new holiday collaboration with iconic French patisserie, Ladurée. Complimentary to hotel guests the week of Christmas through the New Year, and available to neighborhood friends for $6.50 a cup throughout the festive season, The Mark Cocoa Kiosk by Ladurée will serve signature steaming hot Ladurée Chocolat chaud and freshly baked cookies from the enchanted kiosk. Expect a cocoa experience so unabashedly rich, indulgently thick, delightfully smooth, and the kind of sensation that silences lobby chatter while you sip and savor. Launching Thanksgiving weekend and available through the holidays. Custom Tree Trimming Parties – For the month of December, guests at The Mark Can enjoy a festive setting in-room to rival the iconic Holiday window displays at Bergdorf Goodman – the most elegant seven-foot-tall evergreens can be arranged fully decorated upon arrival to a guests’ exact specifications. Families can even opt to trim their own beautiful tree with a choice of signature decorations presented in-room along with a hot cocoa welcome amenity for busy trimmers! Jean-Georges Cookie Baking Kits – Nothing says ‘festive season’ like the aroma of freshly-baked cookies. Acclaimed Chef Jean-Georges has created adorable cooking baking kits exclusive for little monsieurs and mademoiselles at The Mark, available as an add-on with select room types. The kit contains pre-cut dough in festive shapes ready to be baked in-suite (no fuss or mess), signature frosting, sprinkles and many other deliciously sweet garnishes to decorate. Budding little patissiers will also receive a chic signature chef’s apron and charming chef’s hat in the kit. 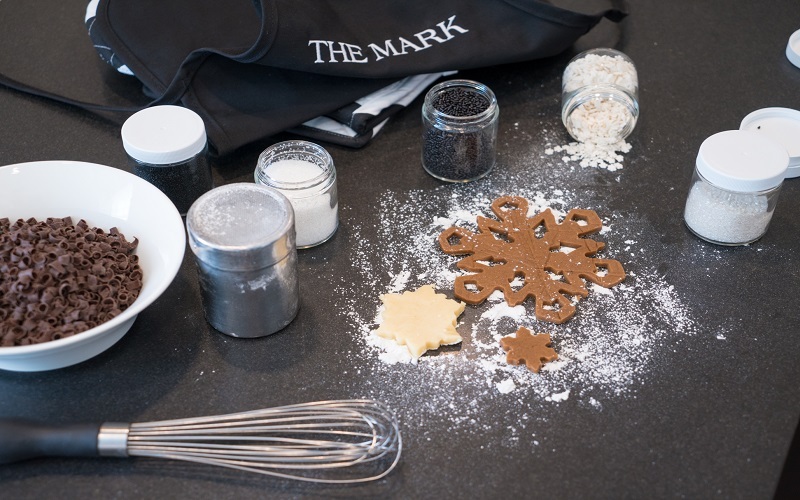 Holiday Shopping Pass – Guests of The Mark who book this chic package will receive an exclusive Holiday Shopping Pass to Madison Avenue’s premier designer boutiques. The pass allows guests to receive a personalized seasonal experience at participating stores to shop the holiday collections; gain insider access to expert personal stylists; take a complimentary ride on “The Mark’s Holiday Express” Pedicabs; and even enjoy a few “gifts” along the way. This offer also includes a special holiday welcome amenity and breakfast each day of stay. New York’s most boldly lavish hotel will be the heart of the holidays in Manhattan this festive season. New York’s most boldly lavish hotel will be the ultimate base camp for those in the know and the front row this New York Fashion Week. Polished pedestrians craving a treat after a morning spent gallery hopping and boutique shopping can indulge in chocolate or vanilla ice cream bars, served at The Mark’s custom ice cream stand. 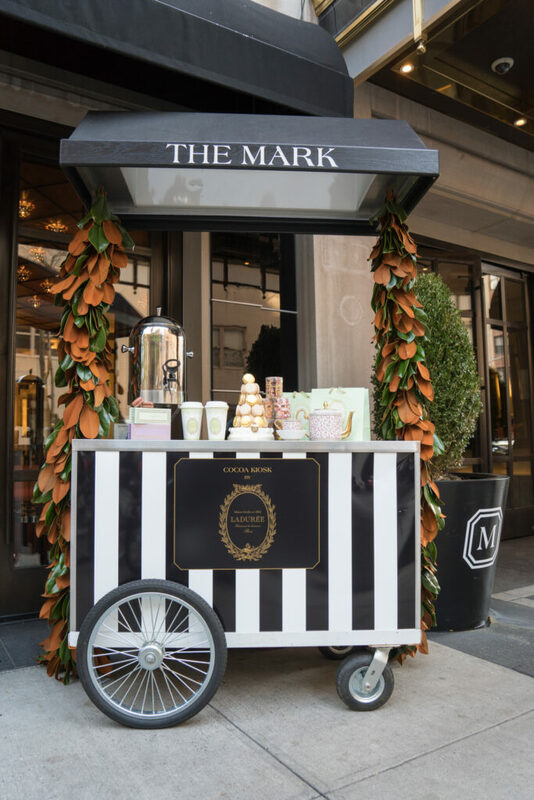 For guests of The Mark, the complimentary Bergdorf Goodman Express pedicab service ferries fashionistas to and from the iconic department store. 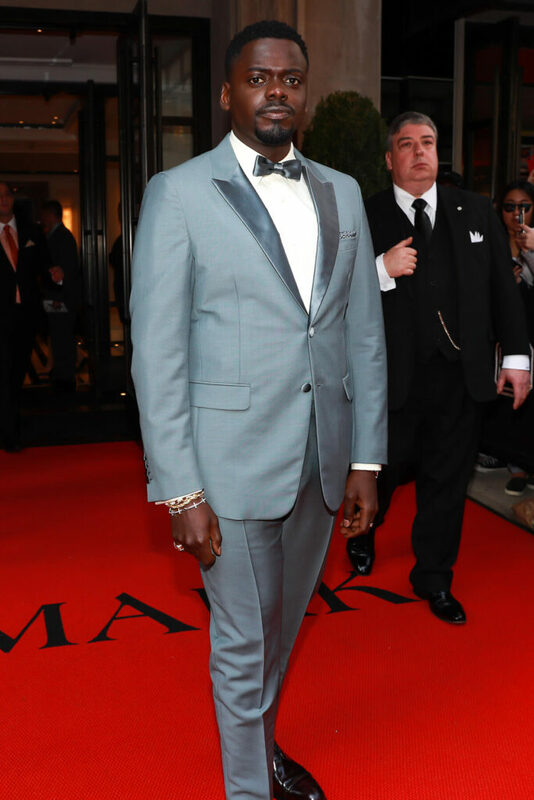 Your very own chic chauffeur will even standby to pedal all your Bergdorf Goodman purchases directly to The Mark. Jean-Georges Gourmet Pizza To Go! Experience The Mark’s Slumber Party suite special, perfect for families looking to lodge with their little ones. Stay in a suite and receive a customized tent set up for tiny guests, an in-room family movie, chocolate milk & cookies and breakfast each day of your stay. For more information, visit our special offers page. 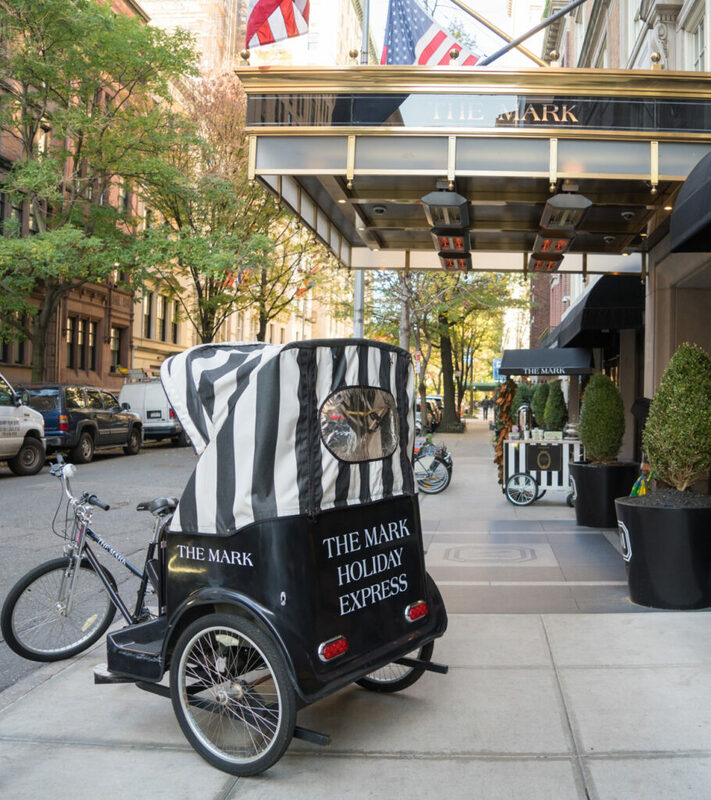 Explore the neighborhood in style with The Mark Pedicabs, available exclusively for guests of the hotel. Your chauffeured ride to Manhattan’s premier shops, museums and galleries. Beat the winter blues with The Mark’s new Health and Fitness Kit – featuring a custom yoga mat with matching ear buds, an Electro-Stim Lifting Facial Treatment + Oxygen Infusion Blast from renowned Esthetician Sueane Mun, personal training session and $100 Food and Beverage Credit. As the city gears up for this year’s marathon, some very lucky runners (and spectators) will experience the race as guests of The Mark. For those selecting us as home base, our “NYC Marathon Survival Kit” is a tailor-made package for the modern marathoner. Address your last minute muscle trepidations and get expert endurance advice during your private training session with Dan Flores, our fêted in-house fitness guru. Navigate those final warmup runs using the compact Central Park Runner’s Guide while new custom Mark ear buds pump your favorite motivational tunes. Stay fueled with the energy gels and chews found amongst your marathon welcome gifts and rehydrate with premium pure coconut water. Even Jean-Georges has joined your support team with a customized in-room dining menu specifically designed for our marathon participants. At the conclusion of the race, as you woozily yet voraciously devour that post-run banana and it feels as though you’ve no energy left to go on in this world – good news; the finish line is literally in our backyard. Just a short walk brings you right back to those Quagliotti sheets you’ve been dreaming of returning to since mile twenty. 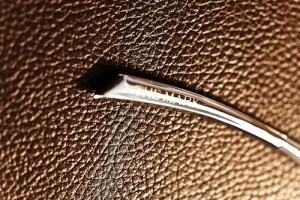 Our friends at Town & Country would seem to agree: read their article here. 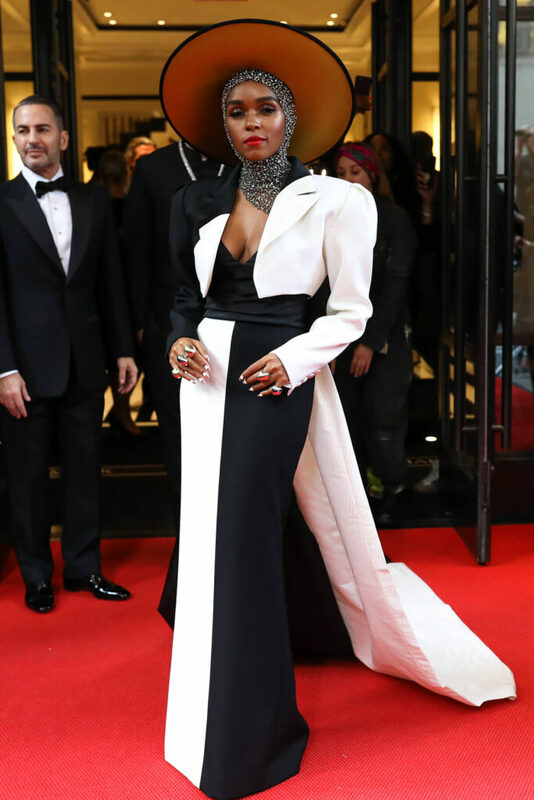 Mario Testino took this year’s Best Dressed List to the streets of London and New York City, combining personal style with chic city flair. 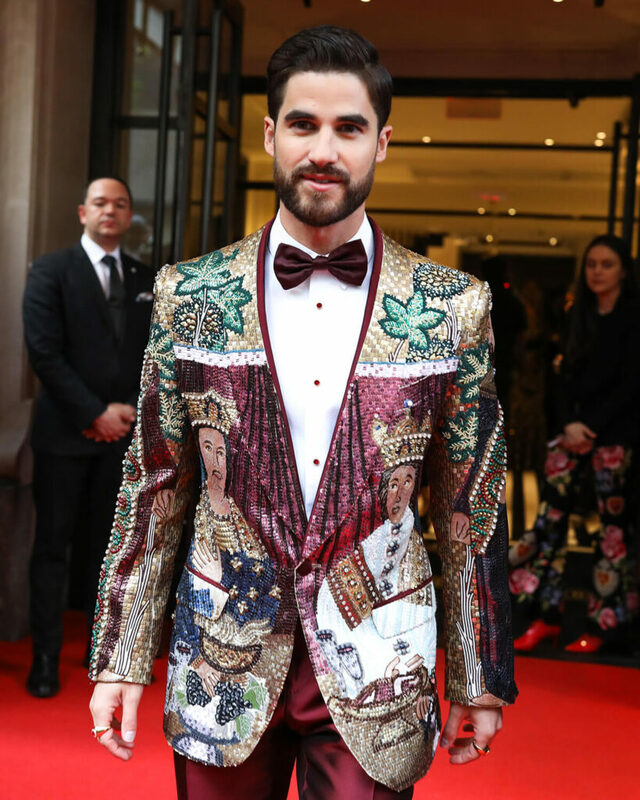 Full of designer labels and internationally recognized trendsetters, the shoot featured 16 members of the International Best Dressed List: Margherita Missoni, Neil Patrick Harris, Grace Coddington, Victor Cruz, and Julia Restoin-Roitfeld to name a few. 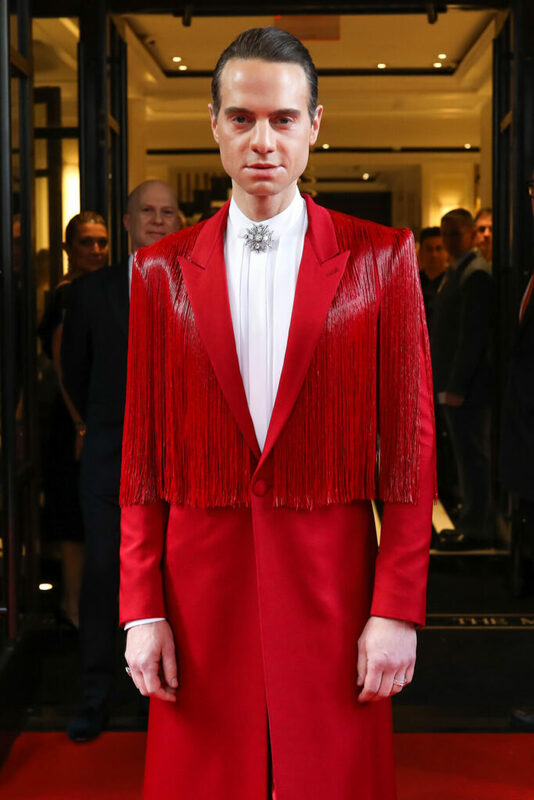 Headquartered at The Mark Hotel, Testino used nearby Central Park and the tree-lined avenues of uptown as a scenic backdrop for the fashion idols to strut their style in the streets of Manhattan. Watch the exclusive behind the scenes video here. 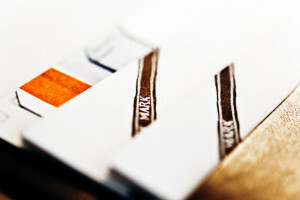 SOME/THINGS photographer, Matteo Carcelli recently visited The Mark, here is an installment of his beautiful images of our hotel. With so many French influencers at The Mark, we invite guests to celebrate Bastille Day (July 14) with our extraordinary group of talents. 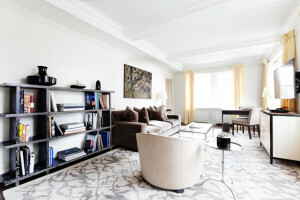 Relax in one of our a Jacques Grange designed rooms or have your hair coiffed at our Frederic Fekkai salon. Complete your stay in The Mark Restaurant by Jean-Georges with a classic cocktail and specially crafted dish by the preeminent Chef himself. The Mark Bar will be including French 75 cocktails on the menu for Bastille Day only. The French 75 is a classic cocktail created in 1915 at the New York Bar in Paris; made with gin, Champagne, lemon juice, and sugar. While the Mark Restaurant will serve Crepes Suzette with market strawberries and a sauce of caramelized sugar, butter, orange juice, and Grand Marnier. We guarantee your stay will be très magnifique!